Where can I use this rail pass? 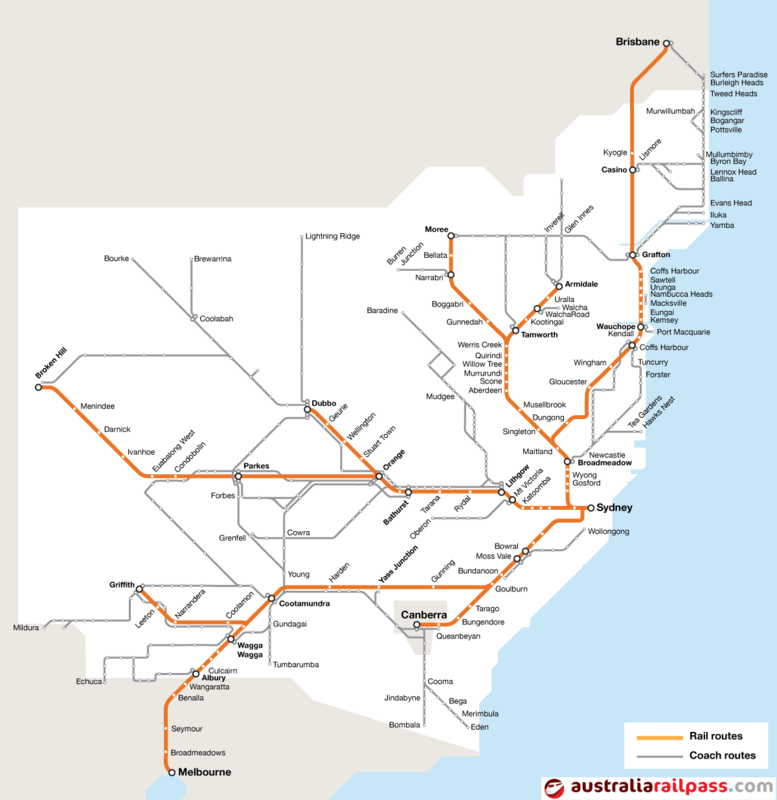 The Discovery Pass can be used on NSW TrainLink train and coach services in New South Wales, Queensland, Victoria and the Australian Capital Territory, although travel within New South Wales is the primary focus of this rail pass. This pass lets you travel as far west as Broken Hill in the NSW outback, as far north as Brisbane and as far south as Melbourne. When is the Discovery Pass valid? The Discovery Pass is valid for periods of 14 days, one month, three months or six months. The Discovery Pass is valid for unlimited travel in economy seating during the validity of the pass. Travel must commence within six months of the date of purchase. Who can use this rail pass? Click below for the latest prices for the Discovery Pass and details about ordering your pass online. You will receive an email confirmation within 48 hours of ordering your rail pass. This email confirmation is your rail pass and once you have your email confirmation you will be able to book your travel. Seat reservations must be made prior to each leg of travel. The Discovery Pass is good for unlimited travel in economy seating, however you may upgrade to first class seats or sleeping berths for an additional charge. This pass cannot be used in conjunction with the “child pays a $1 fare” offer. This pass is not valid on Sydney Trains suburban services or NSW TrainLink Intercity suburban services in Sydney, Newcastle or Wollongong except when travelling in conjunction with a connecting NSW TrainLink regional service. The Discovery Pass is only valid for travel on services operated by NSW TrainLink. It is not valid for travel on Great Southern Railway, Queensland Travel Train, V/Line or TransWA services.